I had a lot of fun doing the year-end roundup last year, so I figured I would do it again. Some pens have maintained their presence in the top 10 list and with good reason. Each of these posts got the most page views out of all of the posts I’ve made this year. The blog has continued to grow, and there were twice as many visitors and twice as many page views as there were last year. There were well over HALF A MILLION PAGE VIEWS and I want to thank you guys so much for checking out the site! Don’t forget to subscribe to the site using the “subscribe” box located in the right hand menu to get emailed every time I make a post! One of my favorite posts, this guide to buying a “grail pen” ended up being very popular. I go through my system of deciding what the right pen is, the process of freeing up some funds, slimming down my collection and obtaining the pen. This is the first of three Rotring posts that made the top ten list. 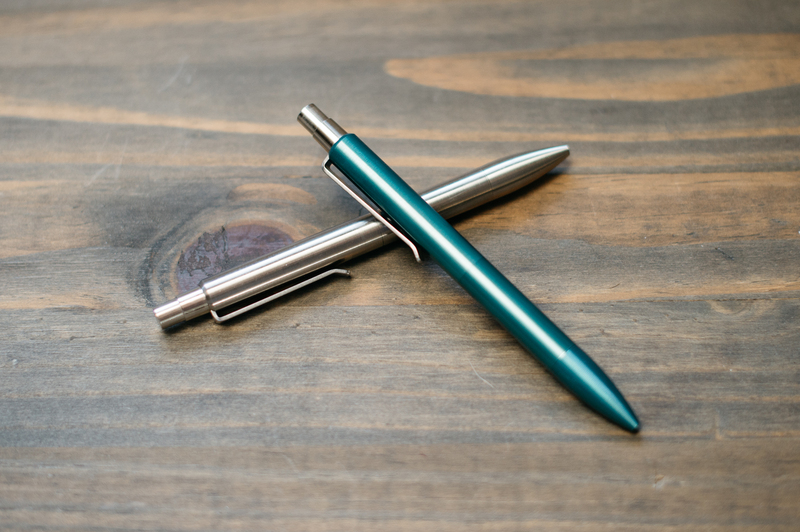 The Rapid Pro Ballpoint is a slimline pen with a metal body and a knurled grip that looks and feels great. Admittedly, it didn’t see too much use following the review. 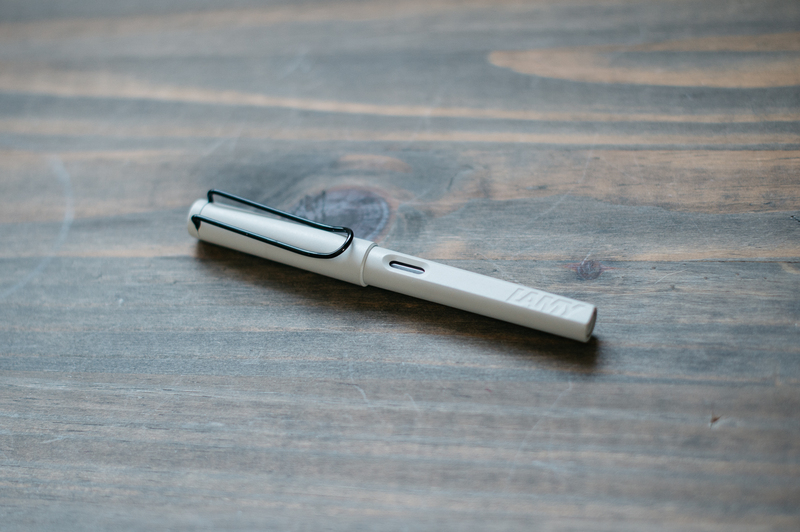 The pen takes a Parker style cartridge and uses a click mechanism to deploy the writing point. The number 8 spot went to the Rotring 800 mechanical pencil. It’s of very high quality, also features a knurled grip – but has a retractable tip and gold accents. Click here to check out the Rapid Pro review. 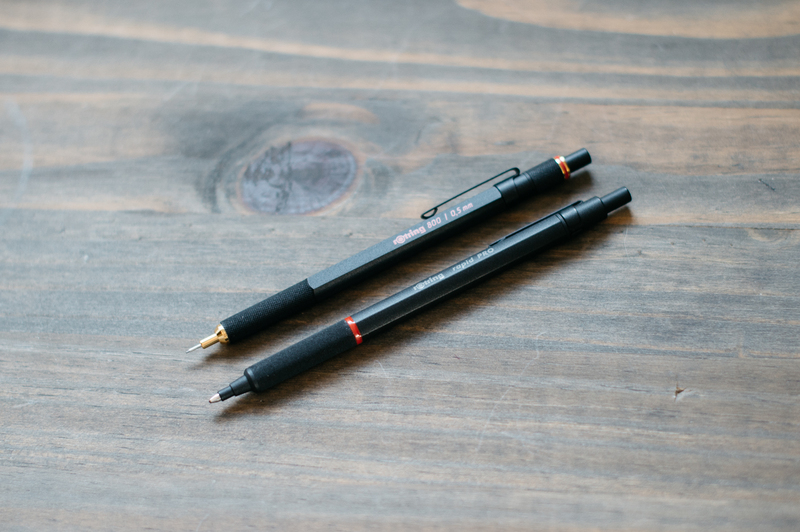 Click here to check out the Rotring 800 Pencil review. 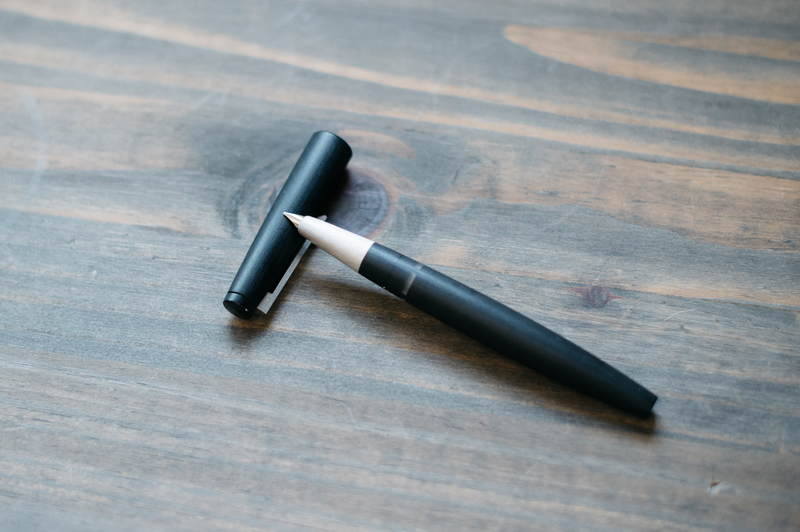 The Lamy Safari was my first fountain pen, and it is still one of my favorites. It makes a great starter pen and really helped me in narrowing down what nib size I like due to the relatively inexpensive swappable nibs. The modern design still resonates with me and there is usually at least one inked up Safari in my arsenal. I picked up this discontinued Griso Grey model at the DC show for only $15! The Mover and Shaker are two of my favorite machined pens. They take a huge range of refills and I love the grip pattern machined into the pen. They look and feel great, and they’re now available in a ton of different colors and materials. The Rotring 600 Lava was an awesome looking pen. I say was, because I no longer have it. It wasn’t seeing as much use as it should and I’m more of a user than a collector. The pen was sold to help fund my Nakaya purchase and while it was nice, I don’t miss it one bit. The pen is long-discontinued and can be found on eBay. The Seven Seas Tomoe pad remains on the list, and for good reason. The silky smooth, fountain pen friendly paper is some of the best out there. It’s impossibly thin and is a pleasure to write with. I photographed the Seven Seas Writer journal instead of the pad again. Both are full of the same paper, but this one has ruling and is bound like a book. 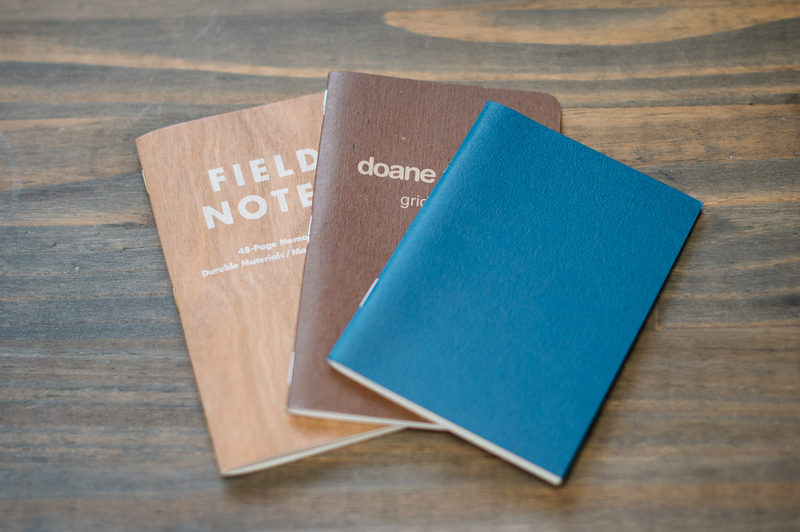 Check them out at Nanami Paper. The stealthiest pen of all. When this was announced I knew I needed to have one. Don’t feel like spending $400? Do some homework and find a retailer in Japan. I got the pen for much less off of eBay straight from Japan than I would have had I purchased it from the States. I haven’t been using this pen as much, but I couldn’t bring myself to get rid of it. I got the fine nib adjusted at the Long Island Pen show to slightly increase the ink flow and smoothness. 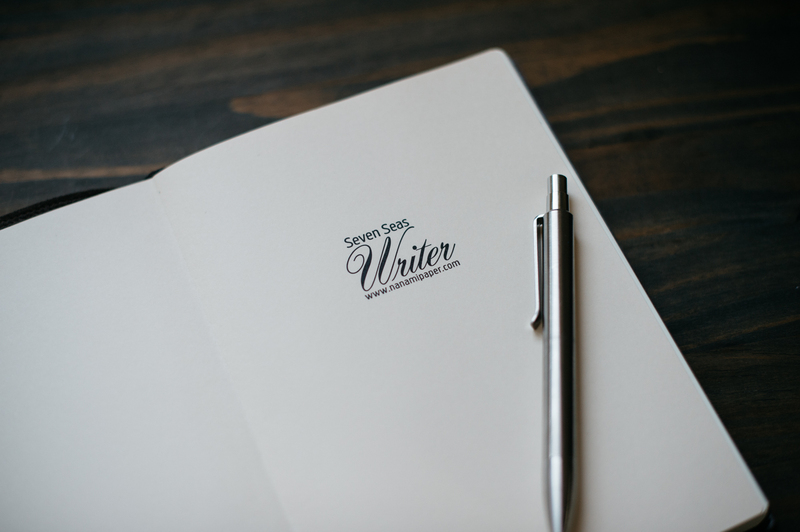 It’s a great writer, and this post makes me want to go ink it up now. This post was another fun one to write and I’m glad it made it onto the top 10 list. 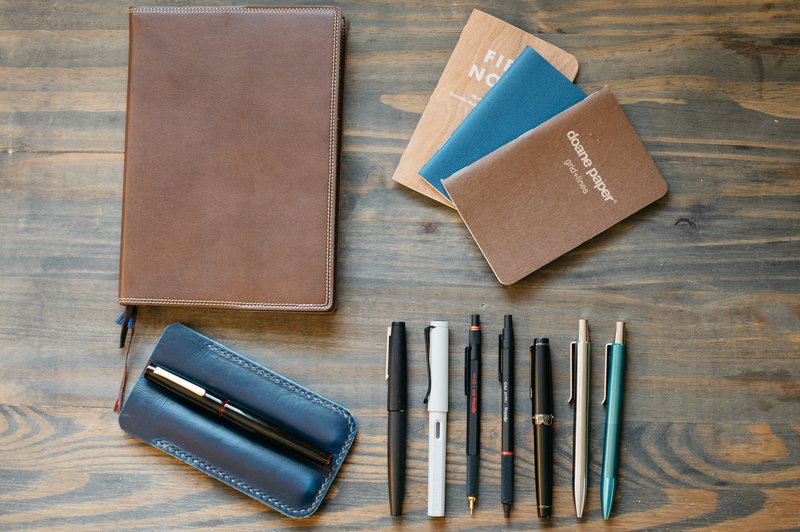 The post outlines what “fountain pen friendly” really means when dealing with pocket notebooks. Check the post out to see the differences! Once again, the top post is the Lamy 2000. It’s still my favorite pen and it is still always inked and within reach. I absolutely love the design and writing experience. The 2000 is one of the first “expensive” pens people buy and I’m not surprised that the review is as popular as it is. Look for an updated review of the 2000 in the coming months! This was another great year for the blog. Thank you all for your continuing support and readership, it means the world. Even with a lower post count this year, the blog has still grown and continues to do so. I’d also like to thank the sponsors of the site – JetPens, Pen Chalet, and all of the independent retailers and companies that have sent me products to review for providing me with a steady stream of goods to review! I have a lot of great content in the pipeline, so make sure to come back and check it out! Thankyou so much for a fabulous year of blogging! I really enjoy your comments and your photos. Keep up the great work! Thank you for some excellent reviews over the course of 2014. I was interested to see that you reviewed the Rotring 800 pencil. 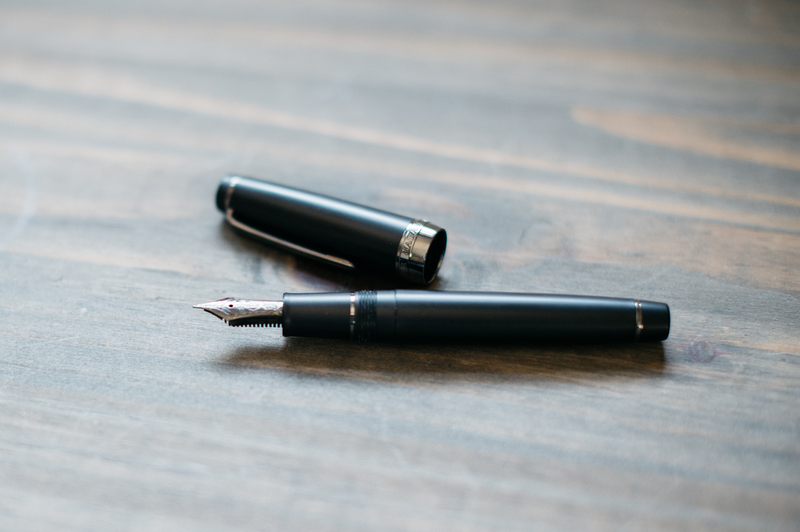 Given that you, and many other people, are such fans of the Lamy 2000 fountain pen, have you ever considered reviewing a Lamy 2000 mechanical pencil? I think that a lot of your readers might be interested in this, as it comes in both a 0.5mm and 0.7mm lead size, and has to be one of the most ergonomic pencils on the market. 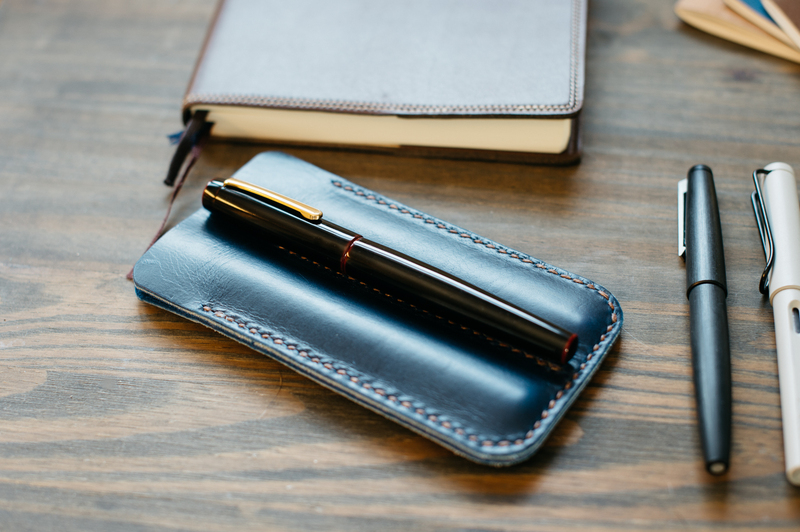 The barrel shape and the makrolon make them very easy and comfortable to write with. I use this pencil every day to write pages of notes etc. 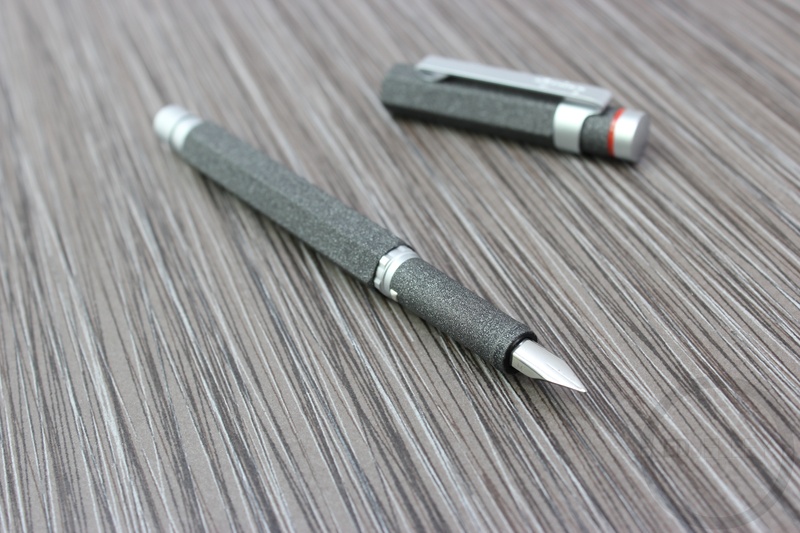 It is a perfect partner to the fountain pen, and is good value for money. I hope that this idea is of use. Found a fellow pen geeks website, great posts throughout.